Call and schedule your next event with us! We are North Missouri’s premier family entertainment center located in Northern Chillicothe at the intersection of Hwy 190 and Grand Drive. The Fast Lane is the place for fun! The Fast Lane is the perfect option for a night of fun, birthday celebrations, special occasions, corporate events and holiday parties. Or grab some friends and join one of our leagues. 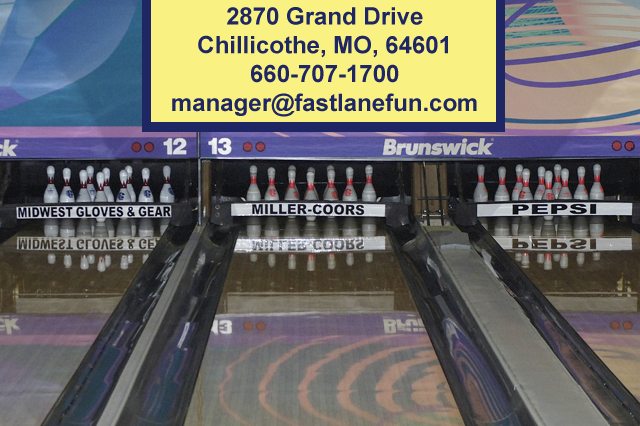 See you at The Fast Lane; The Place for Fun!